I went to a bank machine, a couple weeks ago, and discovered a couple 20 dollar bills left on the machine. 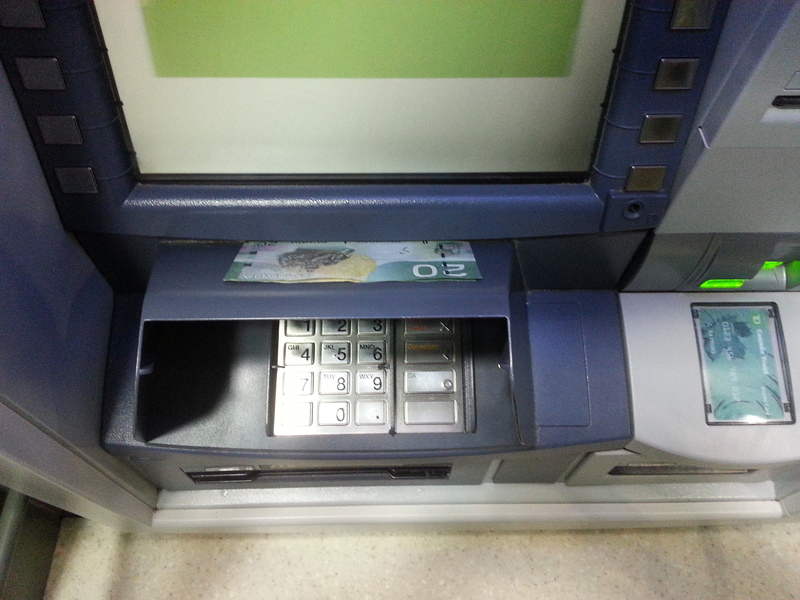 I used a different machine, took a picture, and left the money. Seriously, was this an honesty test or something? Did I pass? I was thinking about waiting around to see how many people didn’t take the money, but decided against it.